Everyone knows that omega 3 foods are good for you. As an essential fatty acid, omega-3 must be consumed through our food since it cannot be synthesized in the body. Omega-3s are associated with inflammation, since they mediate the release of anti-inflammatory cell messengers called prostaglandins, thromboxanes, and leukotrienes. But the equation isn’t as simple as omega 3s = anti-inflammation. Here are 3 important caveats to understand when it comes to this star fatty acid. 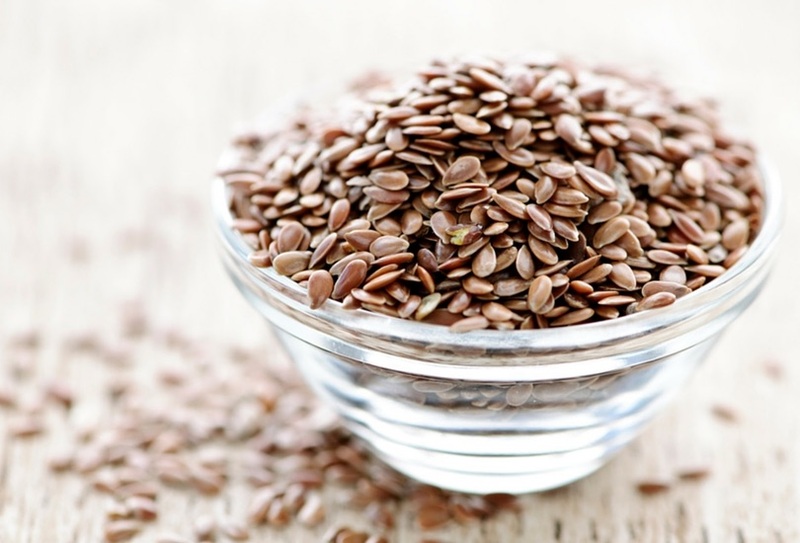 You’ve heard the fanfare about walnuts and flaxseeds: “They are excellent omega 3 foods!” The most important fact to know about omega 3 is that the omega 3 found in plant sources not well absorbed. Enjoy some walnuts, but don’t consider this snack a source of omega-3. There are three types of omega-3: ALA, EPA and DHA. Plant sources, like those walnuts, contain only ALA. In order to reap anti-inflammatory benefits from ALA, the body must convert it into the useable form of EPA and DHA. This conversion, however, creates only a tiny quantity of EPA or DHA (source). As a result, many vegetarians and vegans are deficient in omega-3. 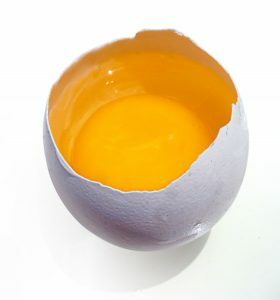 Vegetarian sources of EPA and DHA include pastured eggs and grassfed full-fat dairy products, especially ghee. The scarcity of DHA in vegan sources is one of the reasons I do not recommend a vegan diet. The one vegan source of DHA is algae, although many experts are waiting for more research to determine if algae DHA is as potent as animal-source DHA. Like omega-3, omega-6 is an essential fatty acid that sends inflammation-mediating messages. Before I discuss the relationship between omega-3 and omega-6, I want to highlight a few similarities and differences between these fatty acids. The balance of omega 6 and omega 3 comes down to inflammation. While we consider inflammation bad, the body must inflame in order to heal. The problem of chronic inflammation arises when the body lacks the resources required to anti-inflame. Omega 3 and omega 6 are antagonistic, competing for storage space in cell membranes. Excess omega-6, in the form of AA, promotes inflammation by attaching to cell membranes and signaling the release of pro-inflammatory messengers. Because the cell membranes are filled up with omega-6, there is little room for DHA/EPA to find a spot and tell the cell to produce anti-inflammatory messengers. You may have read about the omega-3 to omega-6 ratio. While our hunter-gatherer ancestors consumed roughly a 1:1 ratio of omega 6 to omega 3, researchers estimate that today we consume an average ratio of 20:1. How did this ratio get flipped? The modern diet has replaced omega-3-rich fats (such as butter and egg yolks) with highly-processed vegetable oils. Canola, corn, soybean, safflower and sunflower oil all contain too much omega-6 to be used on a regular basis. Research suggests that it is not necessarily that specific ratio of omega-3 to omega 6 that creates inflammation, but rather the lack of omega 3. Does that mean you are safe to eat omega-6-rich vegetable oils if you take a spoonful of fish oil? No, for the primary reason that these highly processed non-food oils offer no nutrient value (and no flavor, either). I recommend swapping veggie oils with omega-3-rich ghee instead. Experts agree that the best sources of omega-3 (meaning, the absorbable forms EPA and DHA) are wild-caught, cold-water fish, consumed at least three times per week. Pastured eggs and dairy also provide EPA and DHA. “Can’t I simply rely on fish oil for my omega-3s?” Surprisingly, research is mixed about the efficacy of fish oil supplementation, as Chris Kresser explores in his article, Should You Really Be Taking Fish Oil? Some studies showed an increase in heart disease and insulin resistance for participants consuming large doses of 3 grams per day of fish oil. If you are generally healthy, the best strategy is to consume about 12–16 ounces of cold-water, fatty fish or shellfish each week. Most studies show an inverse relationship between fish consumption and heart disease and mortality, so while fish oil may not protect you, eating fish does seem to. Perhaps this is because fish and shellfish contain many other beneficial nutrients that fish oil does not, including selenium, zinc, iron, and highly absorbable protein. I hope this answered your questions about omega 3 foods. Now, go enjoy a fillet of salmon with this 5 Ingredient Salmon Rub! I would just like to say I find your information to be, generally, very useful but this one on the omega3 & 6 does not help me at all. I am intolerant to ALL fish & seafood. So where does that leave me? I mentioned it in another comment, but what about Algae Omega supplements? They are vegetarian – the omega 3 is derived from the algae. Are you allergic to algae as well? Lauren, well written article and some good points. One thing that most people don’t talk about though is that even though standard American diet is consuming 20:1 omega-6 to omega-3 the average blood/cell levels are still in the 4 to 1 range for the average American. As your article suggests the benefits are from incorporating the omega-3s into the cells not just from consuming them. Unfortunately every is different when it comes to absorption and incorporation. I would never willingly consume anything made from any algae. Search Wikipedia for BMAA and you will find out why. Thanks Lauren for the information. I found it really useful. Had a few opps… moments whilst reading this article. I’ve been giving my 4 year old Eskimo little cubs fish oil every day but running out of it so I’ll give it a break for a while. Thank God she does eat salmon sometimes, despite being a fussy eater. I’ve been consuming organic flaxseed in my porridge for ages but I will dump that now as someone in a post mentioned that it is estrogenic. I was consuming Chia but I didn’t get on with it now I know why. I’m considering trying out Walnuts again but not sure if I’ll react to this if it’s histamine inducing as I’’ve developed food allergies. I am also taking the Renew Life critical omega fish oil but will consider a high vitamin cod liver oil instead as I don’t like fish except cod. I did try the Green Pastures Blue Ice Fermented Cod liver oil but I didn’t get on with it at all and it gave me a bad stomach ache. I read on some reviews that it’s not stable. Also got some high vitamin butter oil but didn’t get on with it either so my husband consumed both bottles. Is this just Ghee in fancy packaging???? After reading Lauren’s article, I have been taking half a teaspoon of Fushi grass fed Organic Ghee but will up this amount to a teaspoon (even though it suggests you can take a tablespoon daily). ps. not related to the article but I’ve started taking Altrient C and had amazing results. Hi! If I have no access to wild salmon is it better to not eat it at all? Or farmed in a small amounts..? And THANK YOU!! Your blog is soo helpful!!! What should you do if you are allergic to fish?? I love Salmon, but worry about mercury and the radio active levels in Alaskan Pacific Salmon coming from the Fukushima power plant accident.. I used to eat Salmon regularly as I was living in Seattle for many years..(before the accident) But, I now live in France where a lot of the Salmon in the stores come from fish farms in Norway and Scotland.. I have heard that the Salmon from these farms contain high levels of toxins coming from the food they are given and the way they are raised.. Do you know if this is true? And, do you know if Pacific Salmon from Alaska is un-contaminated. I also wonder about Herring and Sardines which are very popular in Europe, very inexpensive and always packed in oil… Do you know if these fish are still safe to eat..or are they now laced with mercury and other ocean contaminates like Tuna? Should I just buy the fresh Herring and Sardines and cook them myself?